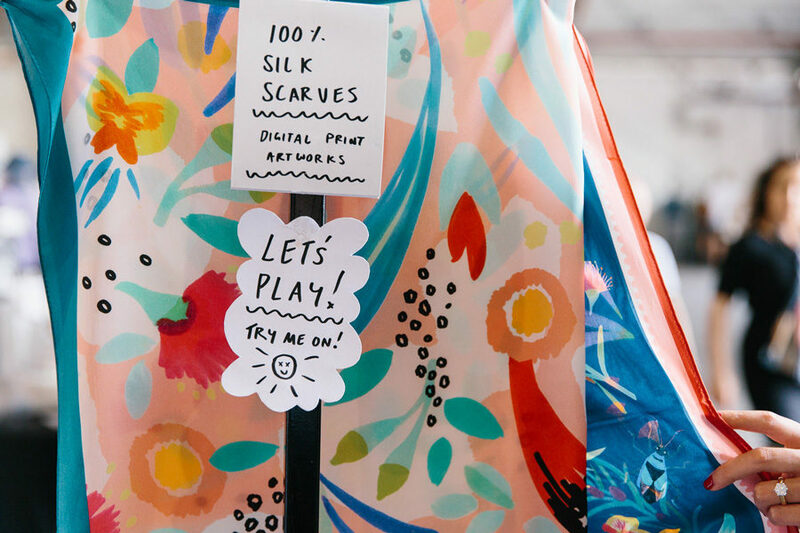 After running quite a few markets, and being behind a market stall as well, here are some of our tips to what we have learnt along the way about running a successful market stall and getting the most out of your experience. This is a great tool for new stallholders, and others with more experience that might need a refresher on some tips. 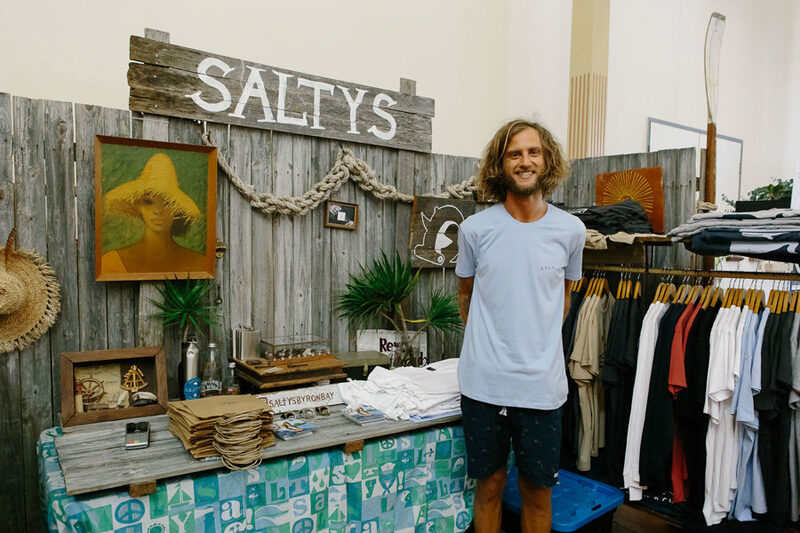 First up if you are new to markets you need to consider what is right for a market stall and how to evenly distribute your product profits, as well as appealing to a range of customers. A. Bread and Butter items – look at creating a tier price scale to draw customers in. Entry point items include products that can generate a higher turnover but might result in less profit margin. B. Mid Range – Mid range items are those that are special yet affordable and have an even margin that means more of a profit for you and are essentially what make up the bulk of your work. C. Highlight pieces – your highlight pieces are the ‘wow’ factor items that draw people in, they may generate less sales but with a higher profit. So, how exactly does that look? Here is an example: If you are an artist that creates beautiful illustrations, you can sell your framed prints as your highlights, a variety of sizes of your unframed prints as your mid and cards as your bread and butter. 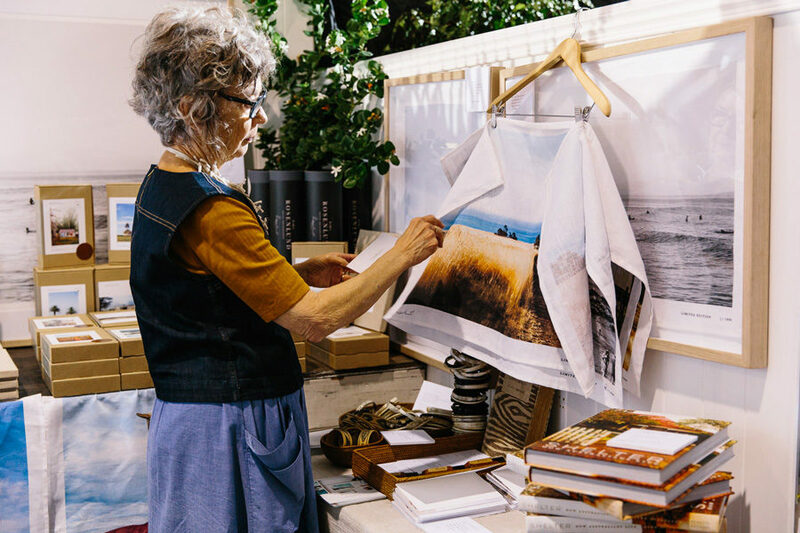 Your stall should be a welcoming and inviting space for people to be drawn to! There are many ways to make your space creative. However some practical tips are to try to balance your display so it’s at around eye level, then below and above. Make it eye catching and easy for your customers to see everything and not over accessorised or cluttered that customers have to dig around. Make items clearly visible, keep it full of product but balanced so that there is just enough product out at once. Make products accessible so they can look at them themselves and try on, or have a closer look. 3. Unique displays – something to remember you by. To make an impact to potential customers, buyers and the media – how will you impress them? Photographers will be looking for amazing things to shoot and share with the community, and bloggers are out to hunt for the best new product, shoppers are out to find something new and innovative. Don’t forget whilst market events are about supporting the community, you are also competing with everyone there. Why would a customer buy from you and not another stall? The best way to come up with concepts for your stall presentation is to do a bit of research. 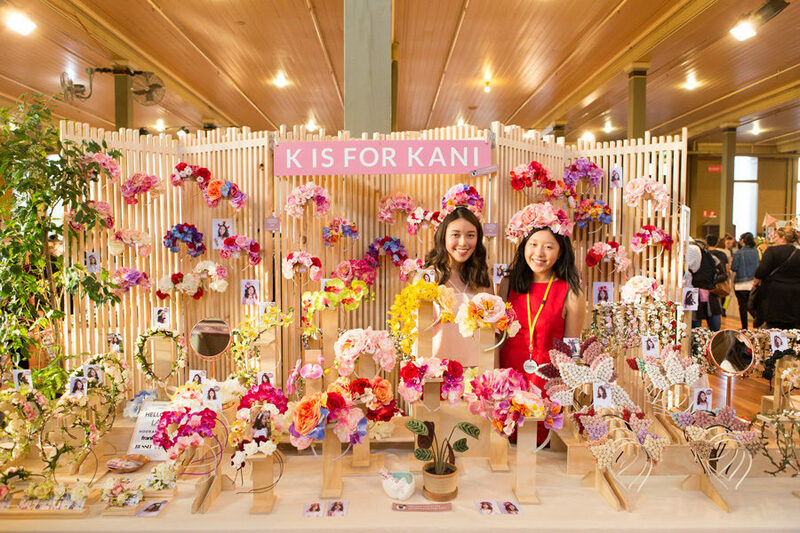 Look at other market and craft events, check out store and gallery merchandising methods and check out design blogs for inspiration. It doesn’t have to be expensive there are some simple ways of using recycled or existing items to bring some life to your stall. 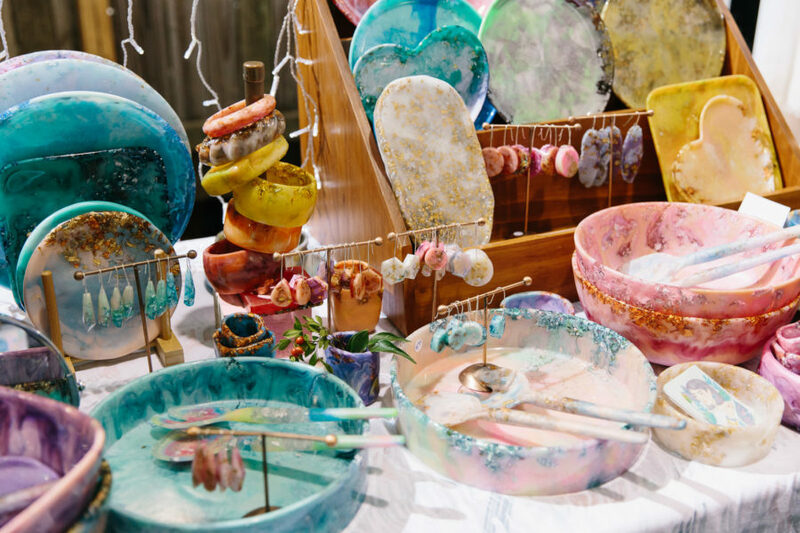 If you are a regular stallholder mix up your display and try new things, people will remember if your stall looks exactly the same again and might pass on saying hello because they are looking for something new. It’s also important that your stall reflects your product, so that it compliments your work. For example contemporary work merchandised with a vintage look stall doesn’t fit – sometimes your display draws in your customer first before the product so think about appealing to the right target market with how your stall looks. 4. Brand recognition – How will you be remembered? Brand recognition is something that is often forgotten and disregarded. Why is it important? If someone is exposed to your label, but doesn’t necessarily buy it on the day – how will they remember you again? Make sure your label name is visible throughout your stall. You can have signage or your name on your work, or labels that are visible and recognisable. It doesn’t have to be over the top if it doesn’t suit the style of your work, make it subtle. Have postcards, business cards or promo material for customers to take away with them. Give them something to remember you from or possibly information how they can buy from you elsewhere – like online or at a shop. Sometimes the markets can be overwhelming and customers like to purchase later so make it easy for them to find you again. Cash is the most common way of payments at the markets but what other ways can you make it easier for your customers to pay you? Think about hiring a mobile eftpos terminal, which gives your customer multiple payment options. If you don’t want to sign up for one, think about taking orders or offering paypal payments. 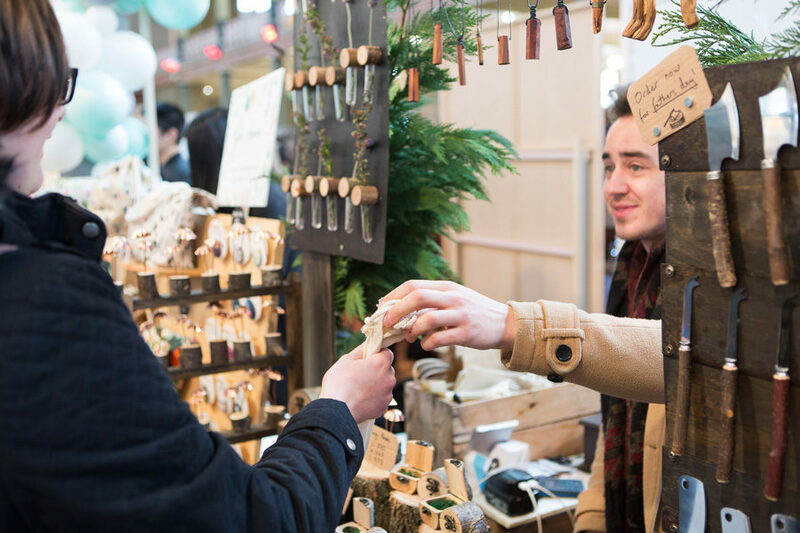 If you have options of payments make sure you let your customers know, pop a little sign on your stall so it makes it easier for them to purchase through you. Other things to consider are photoshoot pictures, mannequins or heads displays to show how things are worn. If your product isn’t worn, think about creative ways to show it uses. If it’s a tricky or unique product concept, that might need some education – think about showing them or having pictures that may help demonstrate your product. It’s also nice for customers to know the process of how your product is made, think about showing the process or having some images or references ready for when customers ask. Whilst you always want your product stall to look fresh exciting and new (and not like a bargain bin!) There are some classier ways that you can introduce some market deals and make potential customers feel a little special! Think about ways you can have unique offers to new customers perhaps it’s a reduced price or special 2 for 1 – or buy a product and receive something complimentary. Other ideas are incentives or offers – think about goody bags, gift packs, or something unique to the season you are selling it at. Eg – Mothers Day, Christmas, Valentines etc. Always make sure that it is viable for you to offer incentives that are going to add value to your business and that you are covering your costs. Market specials are a great way to grow your customer base. Be approachable and always have a good attitude. Even if you are not the best at sales always make an effort to greet your customers with at very least a smile! You need to be accommodating to potential customers, and always put your best foot forward. Customers like to feel special and that you care, they are much happier to invest their money into something that they feel connected to. Always be respectful, courteous and grateful. You never know what customer you may have and what they could be saying about you. Your customer could spread the word and help you gain more sales, or they could potentially be a buyer or a journalist! Always be grateful for a sale. The little things customers will remember you for! Be open to feedback. Market stalls are where you can be face to face with feedback, whether you like it or not. Sometimes it’s the best place for you to learn and see what people react to your work, other times you might hear something you might not want to. Whilst it’s easy to get upset in this circumstances just take it on as feedback and try not to react to it. Everyone can have an opinion so be open to what they have to say. Last but not least! Make sure you have a way to follow up your customers, if you have a mailing list – then add a sign up sheet to your stall. 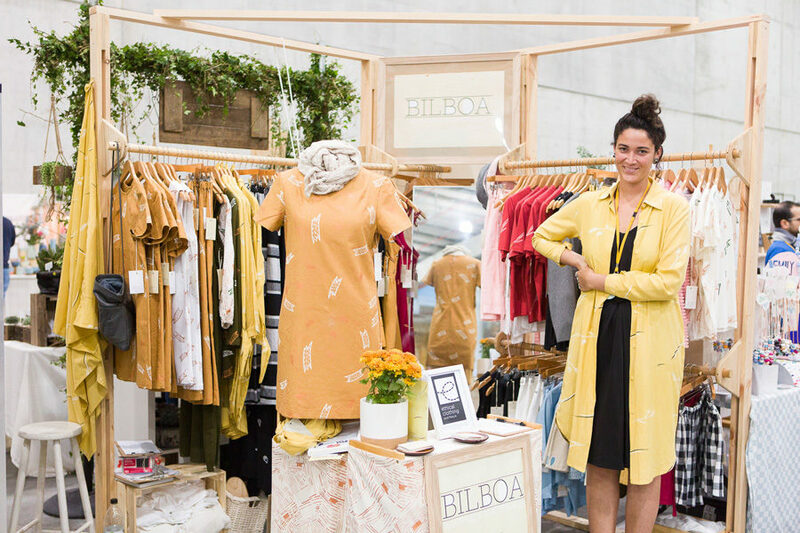 If you have a website or a Facebook you want people to connect with you on, make sure your details are available at your stall and have been added to your sale. Follow up on customers and potential orders and try and get as much feedback and connections as possible. 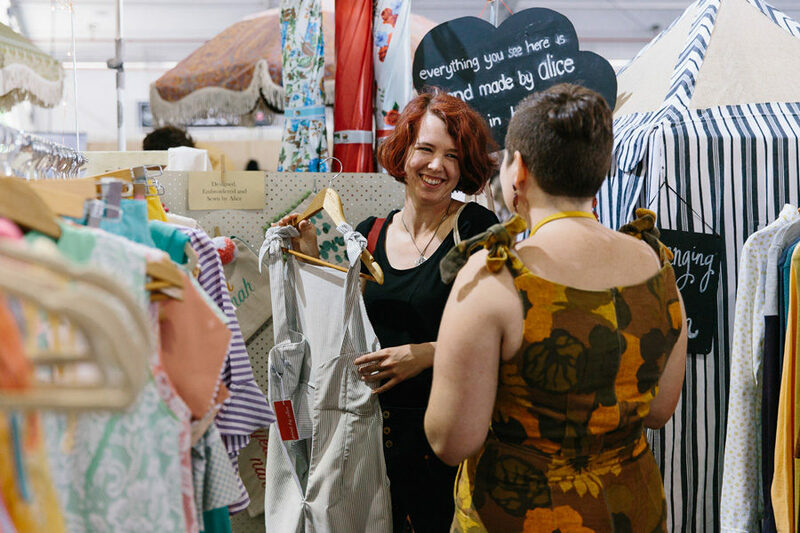 Being apart of markets is the best way to interact directly with your potential customer base, and also make worthwhile connections with other designers and makers that can help you support your journey. Thanks for a fabulous post. I’m not yet a market seller but I hope to be in the future & I will definitely be using these tips when I am! Thanks for this article. I found it very interesting. I only have occasional market stalls but am planning one for November and I would love it to be my best ever. This is probably one of the best how-to market guides I’ve read. 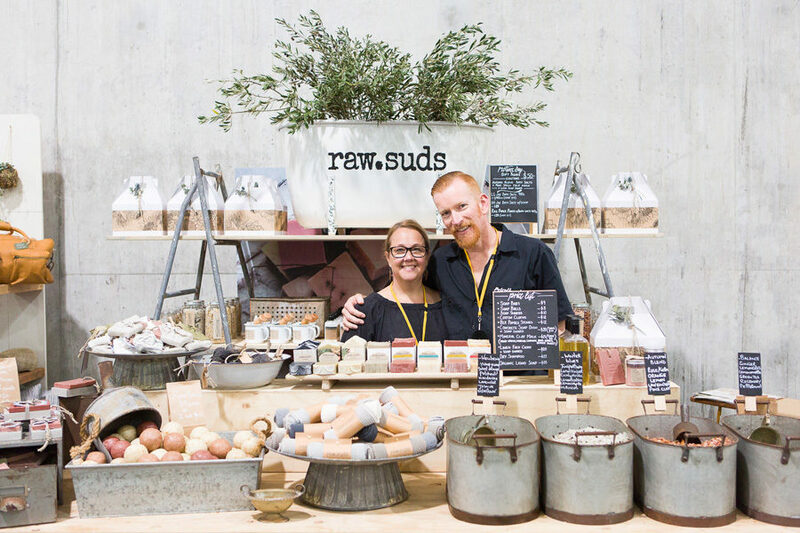 I think one of the most important tips on this list is greeting your customers and smiling – I have walked away from stalls simply because the stallholder looks like they’d rather be somewhere else or didn’t acknowledge me at all. Your resource guides offer such great advice! Thank you so much for putting together a lovely assortment of photos and useful tips and information. They certainly come in handy! Thanks for the tips and hints. My brand is in its infancy and at this point is constantly evolving so the ideas in your post will come in handy. Thanks so much for these tips. We have been going to markets for a little while now and have struggled to get the message across about our product. We make ‘make your own puppet’ craft kits for kids and it has been hard to display the products without confusing the customer. The message of ‘you make it yourself’ has been one we have struggled getting across for people looking on from afar. Tip 5 was perfect – will put things in place for our market at Flemington Racecourse on Sunday to display how the product is put together. Thank you so much!!! It’s sometimes just the little things that make the difference. Good luck for this weekend – can’t wait to check it out on Saturday. Excellent advice here- thanks so much for sharing. This is the most comprehensive and relevant market advice I have read. Thank you so much for this fabulous insight on how to make a stall work. I am now working on some brilliant ideas for my upcoming adventure! Fantastic tips and advice, as a previous comment said, one of the best advice articles i have read! Doing my 1st market stall tomorrow morning so these tips you have listed here are a great help. Thanks. Just wondering if you have any tips on what to use or where to get a fitting room for a clothing stall? thanks, sk. My daughter has just started recycling shoes. They look so amazing I think she should be selling them at the markets. Thank you for all the excellent tips on running a stall. I’ve found your advice very helpful, and I will be implementing some new ideas for my next market. Thank you so much. I will give some feedback in due course. Love your tips, have not done the markets for a few years now due to illness, but have once again been busy doing all my crochet and knitted lace projects. Have all new covers for the tables, new shelving,gazebo. Hoping for good weather this weekend. Handmade seems to be making a big comeback , but of course quality is of great importance and I hope I have achieved that. So will keep watching any further hints you come up with. Thanks for your awesome posting – this is one of the best, if not the best, posts on hints and tips for stall prep – and it is worth sharing! Keep up your detailed work, very comprehensive! Thank you for this useful tips!! Thank you for your no nonsense advice. A truly helpful guide for someone like me who intends to have a market stall in the near future. After taking your advice for my very first ever market stall, I was approached by two groups (a business and an art gallery) with offers to exhibit and sell . I could not have managed that at my first market without your useful tips. Thank you! A friend will be selling jewellery for me at a market stall from this week and this is just what we were looking for. Your tips are much appreciated. Thank you. Nice work with the write up. I found point 1 & 4 most useful. Excellent advice. Having EFTPOS can make a big difference, though you have to weigh up the potential benefits against the ongoing costs. If you are not turning over much volume you may need to increase the amount by attending more markets or by having better sales techniques so that the monthly EFTPOS machine charges are offset. Great list for the newbie! A new market is soon to start up near me and I’ve never considered having a stall before (only ever sold online…) until one of my customers started buying my furniture to put in his cafe stall there- that got me to googling! Thanks for the tips! I think you’ve convinced me to give it a go! point 8 – always smile and engage the customer ( don’t just sit and read a magazine or newspaper ), even if your day hasn’t turned out how you want. If your day hasn’t gone as well as anticipated see point 1. Remember not to give up, customers sometimes are just not in the buying mood. At home set up your stall or display and take photos. Adjust and experiment at every market you attend. What a helpful amazing article! You did so well. Thank you! My daughter wants to go to drama college but is also very artistic and has her own style in every way she was so excited when I mentioned a vintage stall we live right next to a market so your influences are inspirational. Thank you fabulous advice guide. My first market as a stall holder tomorrow in Picton NZ:)! Taking ALL your wonderful advice! Great article. One tactic that I found to be extremely beneficial is getting a custom printed market stall with your brand. That will allow your stall to stand out from the crowd to draw more attention and also build your brand at the same time. Brilliant! I have been looking for a few tips, and this was just great. Thank you so much. I’ve done quite a few markets with different products in the past, but have never made a big profit, so I have changed the way I promote my new items, and hope to do a lot better in a few weeks, having my first stall after quite a long time. Your ideas and advice is great. I hope it works for me.